It’s been a while since I’ve been able to participate in the monthly Silhouette challenge. I’m excited to be sharing an easy project with you today! 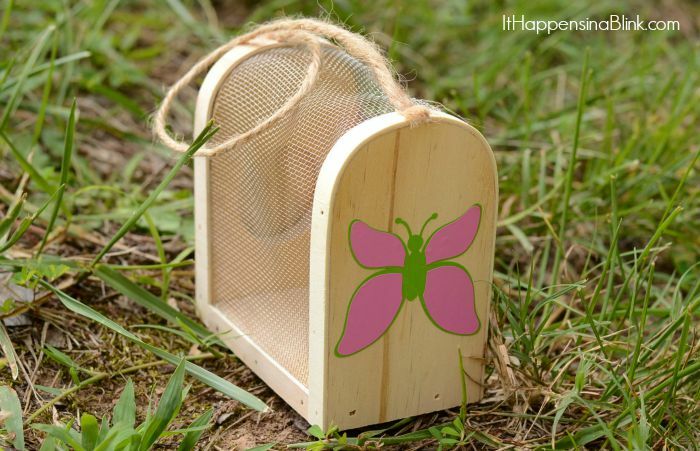 This month’s theme is “Outdoors.” I have had these bug boxes in my craft room for ages. I ordered 4 of them, one for each kid, during a sale at Consumer Crafts. 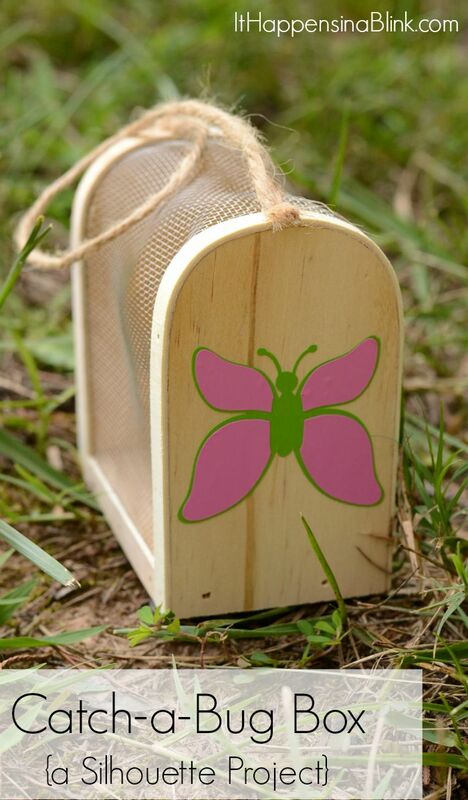 The bug boxes are cute, and I’ve been trying to think of a way to customize them. I’ve tried painting one of them, but the details around the wire and the little door are so tiny that it made painting tedious. So I decided to customize them with my Silhouette instead! Here’s the detail that I added to my daughter’s Catch-a-Bug box. Open up your Silhouette software. 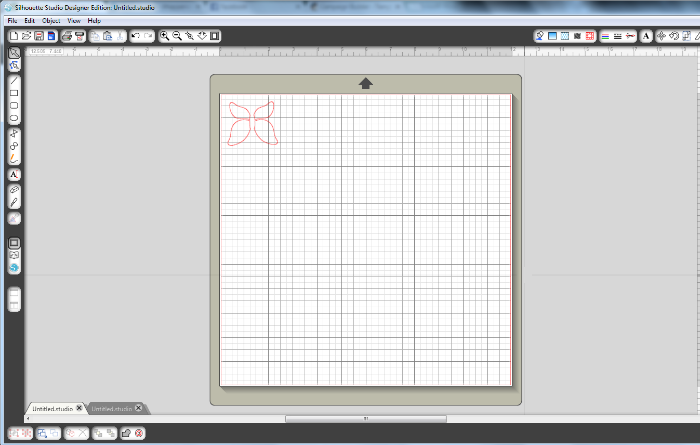 Open the Simple Butterfly Shape. Ungroup the shape so that the outer portion and inner portion can be disconnected. Move one section to another document. Start with the outer portion. This is the part of the butterfly that sort of shadows behind. 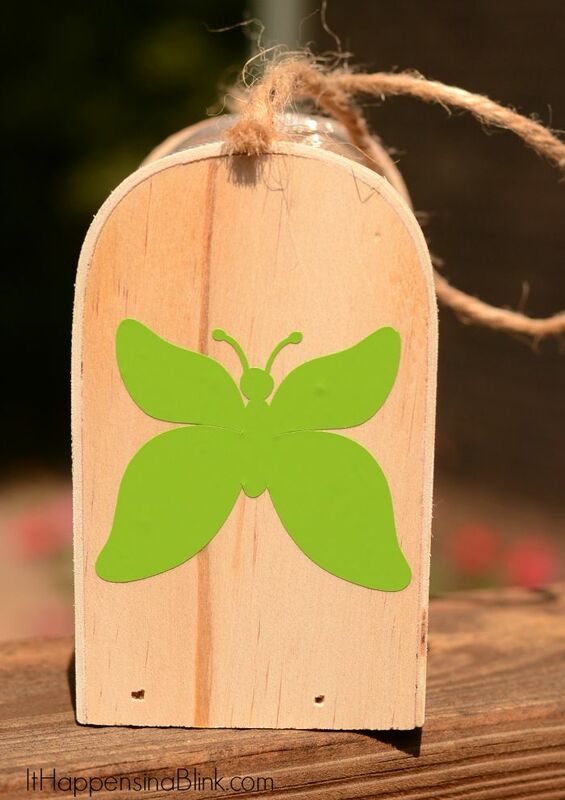 Measure the width of the bug box and scale the butterfly shape so that it will fit inside the width. Cut the shape out on vinyl. Adhere to the bug box. 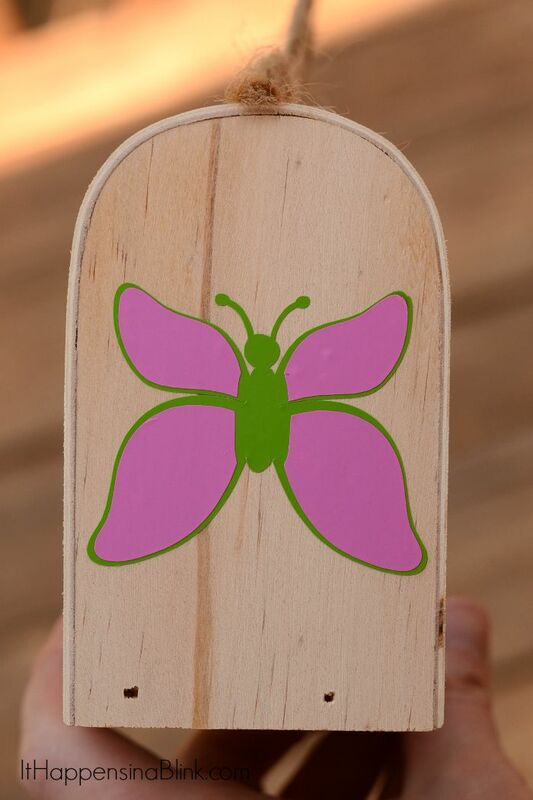 Cut the other portion of the butterfly, using a coordinating color of vinyl. 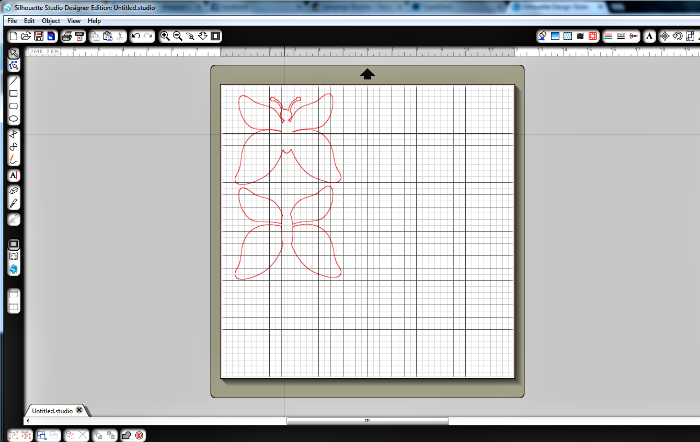 Apply the vinyl to the main butterfly shape. The vinyl pieces will come out in four different pieces, two small wig portions and two large. Now it’s time to enjoy a little bit of bug catching! 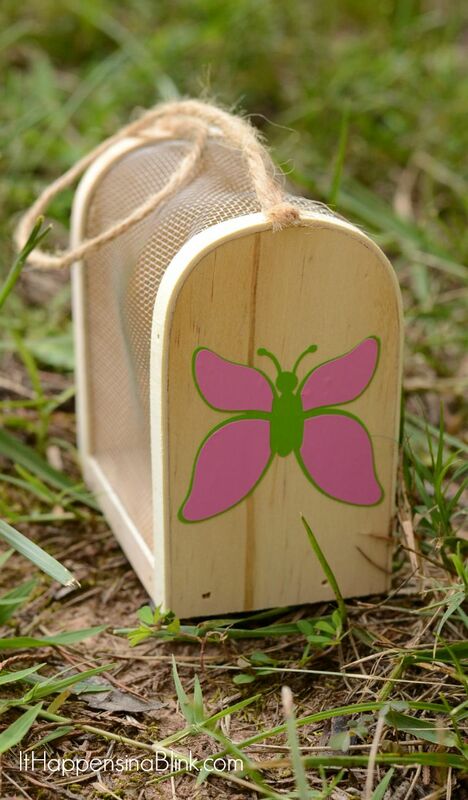 How would you customize your bug box? Looks terrific with the cute butterfly on the side. Great idea. This is so adorable. I LOVED these when I was a kiddo. I was always hoping to catch fairies. Alas, they are too quick.